Happy Valentine’s Week! It was a nice week here, minus a few of us (me and LM) being sick. I just had a cold, but LM had a double ear infection. She’s on meds now and hopefully gets better soon. The week included some fun, including a visit to FW’s classroom. I helped him do a craft. While this one stayed home sick. She was sent home from daycare with a fever and after taking her to the dr we found out about her ears. We also had a very thematic dinner. I preferred the dinner B made me, though. White wine, grilled veggies and tuna are a few of my favorite things. We had some more good eats this week, including Aladdin’s takeout. FW loves their pita quesadillas and I love their hummus so it’s a win win. I also got in my first outdoor run in what feels like forever! I did take a spill at mile 2 – I was running up a small hill and I saw what looked like a water mane break in the road and it had splashed on the sidewalk. Just as I had stopped to run on the grass and avoid the large puddle/ice, I of course landed on a sheet of black ice and went DOWN. My leg got wet – and by the end of my run, it had turned into ice crystals on my pants! Speaking of running, here’s how the week looked. Monday is when I started feeling sick again and Tuesday and Wednesdays runs were pretty slow and involved some walking as well. Thursday I was up earlllly with a sick baby (see above) and didn’t get in a chance to run. Weeks like these make me glad that I’m not yet training for the Cleveland half marathon – I was able to just take it easy and run or walk or do whatever I wanted, without feeling guilty for messing up my training. Despite the spill, I was so happy to be outside for Saturday’s 5 miler. I’m grateful for the treadmill but also getting tired of having to stay indoors! Have you been sick this winter? This is my second time in a month! I’m linking up with the weekly wrap. The cool weather, shorter days and snow outside only means one thing for runners — it’s spring marathon training time! That’s right, just when the weather is at it’s pique for running (sense my sarcasm? ), it’s time for us runners to start training again. Lucky for us, we’re a crazy crew and we’re ready to take on the challenge! That’s why I’m excited to share that once again I’m returning as a Cleveland Marathon Ambassador! 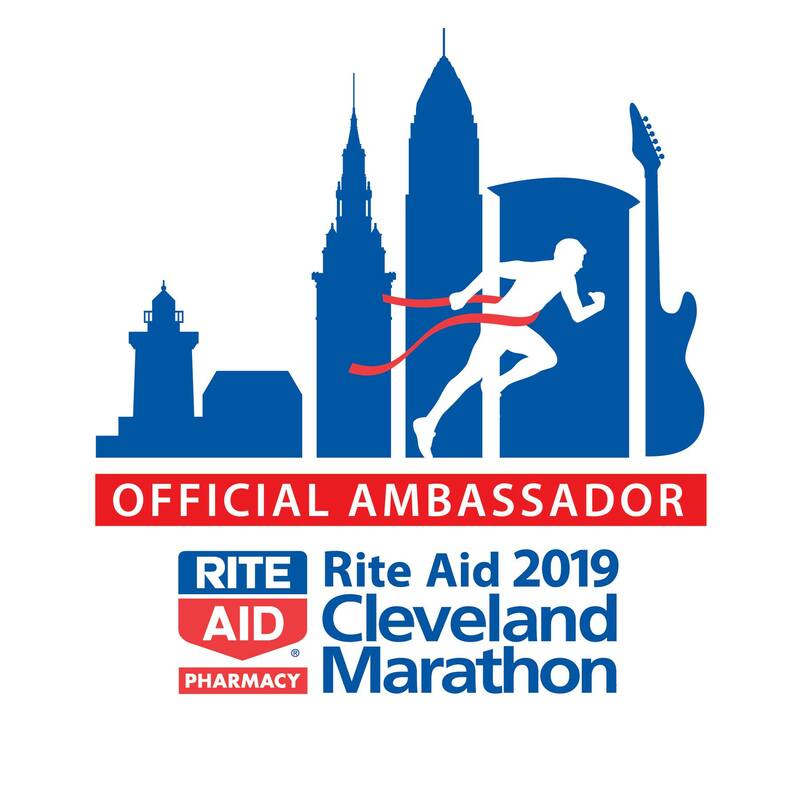 That means that I get to promote one of my favorite race series – the Rite Aid Cleveland Marathon, happening May 19, 2019. Not ready to run a marathon? Race weekend has plenty of options, including a Marathon, Half Marathon, 10K, 8K, 5K, 1-mile and even a Kids’ Run. And there’s my favorite – the Challenge Series events, where if you run both Saturday and Sunday, you get 3 cool medals and a special gift (gifts have included a fleece blanket, hoodie, etc.)! What’s in it for you? I get to give away one race entry! This year’s giveaway is taking place somewhere new – my Instagram account. That’s right, head on over to @koskim on Instagram to enter. And while you’re on Instagram, check out the @Clevemarathon account – I’m taking over their stories today!! The Cleveland Marathon is one of the 50 oldest marathons in the country – it began in 1978 and had the same course until 2004! The race was the first to invite elite runners from the Soviet Union to the marathon during the Cold War. The 10K was added in 1978, the half marathon event was added in 2005 and the 5K added in 2009. Ready to run? Check out @koskim on Instagram to enter today. The giveaway will run through 11:59 p.m. Sunday, 1/20. And you get a bonus entry just by commenting on this blog post! What was the last race you ran? Do you like winter running? And if you don’t win, you can still get 10% off! Use discount code MC2019 when you register. I haven’t officially decided which race(s) I’m running. I’m a fan of the Challenge Series, where you run an event on Saturday and Sunday, mostly because you get 3 medals (a medal for each event and a special Challenge Series medal) AND a cool gift (my favorite was the year we got a fleece blanket!). I’m hoping that this year I’ll do the 8k / half marathon, pending sleep/nursing/schedules/no injuries. Keep an eye out for my official training plan, coming soon. And in the meantime, I’ll be enjoying some casual runs without any commitment. Here I am after this weekend’s 5 miler. I was so excited to wear capris. In Cleveland excited to kick off training? There are 2 kickoff runs planned, and I hope to be at at least one of them! When are you planning to train for your next race? What type of training plan do you follow? Wow, what a year! 2018 was a memorable year. And it was a hard year for running. I’ll be honest – I got in fewer miles than usual. I ran fewer races. I didn’t set any PRs. But, I have a few reasons – being pregnant for half of the year, having a baby and adjusting to the schedule and craziness (and lack of sleep) that is life with a toddler and a baby. So I’m proud of my accomplishments and happy to look back at the year. I ran injury free, throughout my entire pregnancy. Pregnant or not, a year without injuries can’t be beat. In 2017, I had a minor (but painful) piriformis issue that kept me off running for a few weeks. But 2018 granted me health. I did a few races while pregnant, including two 5Ks and a 10K a week before my due date. Thanks to B for convincing me to sign up for a 5K race Mother’s Day weekend, as well as for running beside me as I hobbled the Rite Aid Cleveland Marathon 5K and 10K four days before LM was born. I’ve been able to return to running since LM was born, taking her or FW along with me. I enjoy running by myself, but also enjoy stroller running. FW has gotten to the age where we can talk on our runs and point out animals, etc. and LM typically sleeps. And thanks to our new neighborhood having more paved paths, I got in more stroller runs this year than ever before. While my mileage hasn’t been nearly as much as it was before kids (I ended with just under 800 miles – compared to 2013 when I had double that! ), I am grateful to still be running and have been able to get out again shortly after giving birth. Cleveland Marathon: Use discount code MC2019 for 10% off any race entry. I’ll also have a race entry giveaway in just a few weeks! All in all, I’m grateful for a happy, healthy 2018, running and otherwise. And I kicked off 2019 today with a 4.33 mi run in my new Skirt Sports leggings that I bought myself as a Christmas gift, so the year is already off to a great start! How would you rate your 2018? Do you have any 2019 goals? LM got in some quality Nonna time. And FW bonded with Uncle Greg over trains and music. FW even got close to my parents’ dog a few times. LM got to meet a good college friend of mine, whose parents live nearby. We had my favorite local pizza, Defazios. We braved the line and caught the lights in the park. FW loved them! I also got to run outdoors by myself during the day! Time off from work, plus mild (cold but not snowy) weather, plus grandparents to watch the kids meant I got to spend some time outdoors, running. In fact, last week’s running went really well. We had a warm front and I was able to run outside every day this week, including one stroller run to kick off the week! I got in a 6.3 miler in NY, which put me at my highest post-LM mileage week thus far! I can’t complain! The week was great in running and beyond. I just love this time of year! Has the weather been mild around where you are? Are you in the holiday spirit? Because it was so nice, I did a combination of treadmill and outdoor runs and got in my best postpartum week ever. This is the most mileage in a week I’ve done since LM came along! I’m pretty pleased with the total mileage and hope that I can continue to get put and run even as the weather gets bad. ALSO – some fun news! 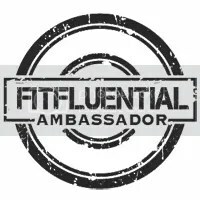 If you’re looking for a GREAT race to run, I highly recommend the Cleveland Marathon – I’m a race ambassador, which means I have a 10% discount code off that you can use! You can sign up for any of the events – 5k, 8k, 10k, half, full, etc. – and you get 10% off with the code MC2019. The race weekend (there are TWO days of events) is May 18-19, 2019. What races do you have on the horizon this spring? Do you have any Thanksgiving races planned? Linking up with My No-Guilt Life, Marcia’s Healthy Slice, and MCM Mama Runs.